The Health Foundation are inviting researchers to submit outline proposals for research that advances the development and use of data from national clinical audits and patient, registries as a mechanism for improving health care quality in the UK under the Insight Research Programme 2019. Pfizer’s GMG competitive grant program involves a publicly posted Request for Proposal (RFP) that provides detail regarding a specific area of interest, sets timelines for review and approval, and uses an external review panel (ERP) to make final grant decisions. Organizations are invited to submit an application addressing the specific gaps in practice as outlined in the specific RFP. Funding: Proposals should be between 3 and 12 months in duration on a full-time basis. Resources requested will principally include Principal Investigator (PI) salary, travel and subsistence, plus resources for the specific activities. Cancer Research UK and the Engineering and Physical Sciences Research Council invite applications for their early detection innovation sandpit and award. This aims to catalyse new multidisciplinary collaborations to drive forward earlier detection of cancer. Applicants must attend a three-day sandpit workshop where they will have the opportunity to network and form new collaborations spanning diverse research areas and organisations, work in broad multidisciplinary teams to generate new and innovative ideas, and pitch projects for seed funding to test the feasibility of their ideas. The theme for the July workshop is applying robotics and robotic technologies for diagnostic delivery and cancer early detection. The first call for applications for Research Training Fellowships for Nurses and Allied Health Professionals is now open. Applications must be submitted no later than Thursday the 25th of April 2019. Any applications received after this date will be deferred to the second round, later in 2019. The Medical Research Council invites proposals for its career development award. This enables postdoctoral researchers to lead their own research plans and establish their own research team to make the transition from postdoctoral researcher to independent investigator. A CDA provides funding for a challenging research programme, and an ambitious programme of research training which offers accelerated personal and career development. Proposals are encouraged across all areas of MRC’s remit, and they may range from basic studies with relevance to mechanisms of disease, to translational and developmental clinical research. Funding: provided for five years and it covers salary, support for research staff, consumables, travel costs and capital equipment. There is no limit for funding, and awards are made at the full economic costing framework. This scheme provides a new flexible route for research-qualified NHS consultants to increase their research skills and experience by engaging with groups and centres of biomedical research excellence, enabling the cross-seeding of perspectives, ideas and connections needed to underpin future translational biomedical research. The scheme pilots a new mechanism for NHS consultants with a PhD or MD (or equivalent higher research degree) who are not currently research active to participate in collaborative high-quality research partnerships with established leading biomedical researchers. Funding: Working in partnership to support this pilot, the MRC will be committing £10 million across two rounds, with the National Institute for Health Research (NIHR) committing up to an additional £2 million. Awards will be a minimum of one year and maximum of three years in duration. It is anticipated 45-50 awards will be made. Tenovus Cancer Care fund research that highlights or meets the needs of cancer patients and their families. This year they are keen to receive applications that address one of the NCRI’s top 10 research priorities. 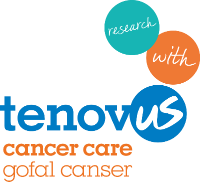 Tenovus Cancer Care’s iGrant funding call is now open and welcomes applications from all, including individuals, patient groups, academic institutions, health professionals and voluntary organisations, where the lead applicant is based in Wales. iGrant applications can range from £1,000 up to a maximum of £30,000 for up to 24 months. The aim is to support talented scholars who have successfully launched a university career but who need to build a research team of sufficient scale to tackle a distinctive research problem. This creates an opportunity for the development and demonstration of research leadership; that is, for the direction of a modest team or group, whose research may significantly change the established landscape in a particular field of inquiry. Each institution is limited to one bid only. The UK Research and Innovation (UKRI) Future Leaders Fellowships (FLF) will grow the strong supply of talented individuals needed to ensure that UK research and innovation continues to be world class. The significant support of the institution will be a critical component of all fellowships, which will enable the fellow to transition to or establish their research/innovation independence in any area supported by UKRI. The support offered will be long-term and flexible and will provide comprehensive package of support, including the fellow's salary and justified research, staff and training costs, with seven years of support available on a 4+3 model, with a review in year four. Deadline for applications: closed 28 February 2019, next call to be announced. Health and Care Research Wales has launched the Pathway to Portfolio Development Funding Scheme to support individuals in the NHS to undertake a research project and/or activity that will allow them to refine and develop their grant application writing skills, develop their research ideas or provide opportunities to support pilot, feasibility or proof of concept work. The scheme is open to all staff across the NHS with the aim of supporting activities that will provide the essential step towards research applications to funders of high quality research. Applications are invited from individuals working across any sector or scientific discipline to under-take research which will benefit patients, public, service users and/or carers in Wales. Each project will receive up to £15,000 or $30,000 CAD to allow exchange of a research fellow between UK and Canada for a duration of up to three (3) months. The programme will also support the attendance of the Principal Investigators (PIs) and the fellows at the International Population Data Linkage Network Conference in Banff, Canada 12-14 September 2018. Build on existing research at The Farr Institute and ICES; adding value to a project which is currently occurring in only one country and/or demonstrating the power of scaling studies based on linked data on an international scale. Have two Principal Investigators (PIs) – one core or adjunct scientist at ICES and one scientist at The Farr Institute. Involve data linkage within UK and Ontario/Canada. Be achievable in the short term (~1 year); processes and permissions for within jurisdiction data linkage and access must already be in place. Benefit the research strategies of ICES and The Farr Institute. Provide career benefit for staff, trainees or early career researchers already working on research studies at either The Farr Institute or ICES. Give rise to peer-reviewed publication(s). Further information: please see the attached information sheet and application form. 19/14 Community health and care services to support people with learning disabilities and behaviour that challenges, and their families and carers. Knowledge Mobilisation Research Fellowships (KMRF) - are designed to support a balance of innovative knowledge mobilisation and research into the processes and impacts of such innovation. Through innovative practice and systematic study of that practice KMR Fellows should advance knowledge and understanding about research use, influence and impact. NIHR Pre-Doctoral Fellowship - offers 1 year WTE (or on a part time basis of between 50 and 100% WTE) to give people the necessary skills and experience required to undertake a PhD. Applications will only be invited from individuals looking to undertake research training with a view to submitting a future PhD application in one of the NIHR Academy’s defined Strategic Themes. As developing research capacity amongst methodologists remains an important long-term aim for NIHR, this will include anyone looking to build a research career in any of the areas previously supported by the NIHR Research Methods Programme (medical statistics, health economics, clinical trial design, operational research and modelling), as well as other relevant methodologies more widely. Awards will be available to start from September 2019 onwards with competitions launching annually, the first launching in February 2019. Further information. NIHR Doctoral Fellowship - offers 3 years full-time funding (may be taken up on a part time basis of between 50 and 100% WTE) to undertake a PhD in an area of NIHR research. The majority of Fellowships will be awarded in response mode but with strategic components also being introduced. Fellowships will be available to start from September 2019 with competitions launching biannually, the first launching in October 2018. Further information. Starting to establish themselves as independent researchers or those already established as independent researchers but not yet recognised as an international leader in their field. Are looking to transition into applied health research from a basic science background or those looking to re-establish their research career following a significant career break. Advanced Fellowships will be available with a ‘clinical academic’ option whereby clinical applicants will have the option to request between 20% and 40% of their time be dedicated to clinical service/development which would be covered by the Fellowship. NIHR Development and Skills Enhancement Award offers 1 year (part time basis of between 50 and 100% WTE available, however the maximum duration will still be 1 year regardless of WTE) post-doctoral level award aimed at supporting NIHR Academy Members to gain specific skills and experience to support the next phase of their research career. This will include NIHR Academy Members requiring support for career continuity in advance of applying for further NIHR Academic Career Development funding, who haven’t been able to source support from elsewhere e.g. from Research Capability Funding. Applicants will be required to demonstrate the new skills and experience they hope to gain through the award and how it will benefit their future career in research. Awards will be available to start from December 2019 onwards with application windows open all year round, starting from May 2019. Further information. The Wellcome Trust invites applications for its senior research fellowships. These support independent scientific researchers who want to tackle the most important questions in science and who are leaders in their field. Proposals must fall within the trust’s science remit. Researchers from the UK, Republic of Ireland and low- or middle-income countries may apply. They should have a PhD and significant postdoctoral research experience, be leading their own independent research programme and have an internationally recognised track record in their area of research. Applicants need an eligible sponsoring host institution in the UK, Republic of Ireland or in a low- or middle-income country with the support of the relevant head of department or equivalent. Funding: Up to 7 years. Deadline: Full application deadline, 25 July 2019. The Wellcome Trust invites applications for its research fellowships for health professionals. These enable practising health professionals to carry out humanities or social science research in any area of health. The research should aim to improve understanding of health and disease using humanities or social science methods. 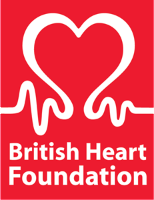 Funding: £350,000 for up to 3 years. Principal Research Fellowships are the most prestigious of WT’s personal awards and provide long-term funding for researchers of international standing. Key dates: You can express an interest at any time. These enable research-active clinical lecturers to gather data in order to develop and strengthen their research careers and bids for longer-term fellowships and funding. Grants are worth up to £30,000 each over one to two years. Round 21 to open in 2019. These enable UK biomedical scientists to develop their independent re­search careers. Awards are worth up to £100,000 each over two years. Funding covers research expenses, equipment, research assistance, trav­el costs for meetings and collaborations, but not personal salary costs. Next round to open in 2019. The Royal College of General Practitioners (RCGP) is supporting researchers to implement academic primary care findings into practice for GPs. The new Impact from Research programme offers to partner on research projects and support impact and dissemination through a range of activities. The Economic and Social Research Council invites proposals for its new investigator grants. These support early-career researchers in making the transition to become independent researchers through gaining experience of managing and leading research projects and teams. Proposals may be for standard research projects, surveys and other infrastructure projects and methodological developments. Proposals are welcomed across the full disciplinary range of the social science at at the interface with the wider sciences, however social sciences must represent at least 50 per cent of the research focus and effort. Interdisciplinary proposals are welcomed. Proposals must include a programme of research and broader skills development to ensure the applicant’s continued progression towards being an independent researcher. Grants are worth £100,000 to £300,000 at full economic cost. ESRC’s contribution for UK applicants is 80 per cent of FEC. 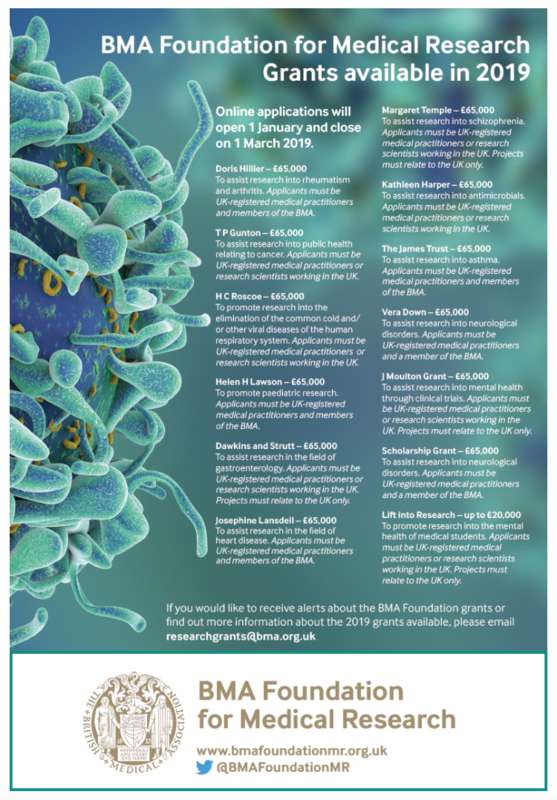 Around 30 to 35 grants are anticipated to be available per year. Closing Date: No deadline. Proposals can be submitted at any time. The Economic and Social Research Council (ESRC) and the Arts and Humanities Research Council (AHRC), in partnership with the What Works Centre for Wellbeing (WWCW), are pleased to invite proposals for innovative research projects that focus on a wider range of methodologies and approaches to understanding and measuring wellbeing. The ESRC Impact Acceleration Account (IAA) helps bridge the gap between the findings of social science research projects and their take-up by policy makers, organisations and other end users to benefit society and the economy. Deadline for expressions of interest for SPARKing impact is 31st March. Deadlines for expressions of interest for all other schemes is 8th May. This prestigious programme, funded by the Wellcome Trust, offers medical, dental and veterinary graduates the opportunity to undertake interdisciplinary PhD training in the Universities of Bristol, Cardiff and Exeter. The Clinical Innovation Hub is a partnership between Cardiff University and Cardiff and Vale University Health Board. The Clinical Innovation Hub is a partner of the Accelerate project, Clinical Innovation Accelerator (CIA). Accelerate is a consortium £24M programme led by the Life Sciences Hub Wales in collaboration with Cardiff University, Swansea University and the University of Wales Trinity Saint David. It is funded by the Wales European Funding Office (WEFO) and will utilise EU Structural Funds to identify innovation projects that meet an unmet clinical need. The awards are open to academia, industry, students and healthcare professionals. Innovations could take the form of new technologies, products, processes or services to deliver economically viable solutions for adoption into routine health and social care delivery, for patient benefit, health economic benefit and to stimulate economic growth with attendant socio-economic benefits in Wales.